The XPS 14z tries hard to impress and is ultimately let down in a few key areas. The screen is the biggest issue; a premium notebook should come with a premium screen. Its lifeless 720p panel is no different than those found in budget notebooks and an upgrade is not offered. Next is the keyboard which needs better tactile feedback; the typing experience is disconnected. Continuing the fan should be quieter under full load; it can be heard across the room. Lastly there is a lack of USB ports and no standard way for users to upgrade components such as the hard drive. Dell's Studio 14z is a valiant attempt at making a more compact 14-inch laptop computer systems. It certainly is affordable in the low configurations but the system just has to sacrifice too many features for its reduced size. Removal of items such as the DVD burner and a multi-format card reader really reduce the potential uses of the system. With the tested price of $850, just a little more money can get the users a bit more in terms of performance and features in a 13-inch laptop that is more portable. Though not without its flaws, the Dell Studio 14z ends up being one of the better current laptop solutions on the market. For a reasonable price (around $1000 for the tested configuration), users can get a laptop that will handle all of the most common situations. The Studio 14z delivers decent application performance, adequate entry-level gaming performance, and acceptable battery life, all in a package that weighs under 5 pounds. For most casual computer users Dell’s Studio 14z is going to deliver just what they are looking for. The lack of the optical drive is not going to be a problem for many people, though the lack of an SD card slot is an annoyance. Past these, and considering the sub-$700 price, the 14z is going to be a great choice for a large number of buyers. Don’t forget to check out the competition though, HP has a few very competitive models as does Lenovo, including the IdeaPad Y450. If you find yourself working on the go in situations where the sun will be a factor and you need more power or a bigger screen than netbooks can give you, the Dell Studio 14 z is definitely a laptop to consider. It provides an excellent portable package that can handle both work and play all for around $700. However, if you think you’ll need both an optical drive and an SD card reader you should probably look for a laptop that has them built in since buying both will not only up the price of your notebook but add bulge to your bag. The Dell Studio 14z ($1004 direct, as tested) is essentially a sneak peak at what the future holds for mainstream laptops. Its looks aren't futuristic by any stretch of the imagination, but parting ways with an internal optical drive (thanks to the advent of downloadable content) is picking up momentum, and excluding a legacy feature like VGA-Out is forgivable in the long term. It takes guts to omit an optical drive, a media card reader, and VGA-Out, but the Dell Studio 14z does it with style. Dell's sleek, slim 14z all-purpose laptop delivers a great package overall--so long as you don't need an optical drive. So, is the Dell Studio 14z worth Best Buy's $750 asking price? That depends on whom you ask. I, for one, need a laptop that has a built-in flash card slot. It just seems silly to fork over extra money for that no-brainer. As for the optical drive, I could always buy something a little cheaper than Dell's offerings online. Then again, as a multimedia nut, that discrete GPU goes a long way. The Dell Studio 14z is an impressive 14-inch notebook that arrives just in time to give students (and parents) something to consider for back-to-school season. If your child or your family is looking for a convenient laptop for general use then the Studio 14z can handle just about anything you throw at it. The overall price/performance ratio makes the Studio 14z one of the more impressive notebooks on the market if you're looking for something with a 14-inch screen. The nice design, great sounding speakers and a gorgeous screen make the Studio 14z a touch act to follow. It's an attractive, speedy, student-focused thin-and-light, but budget carefully: This Studio lacks a DVD drive or flash-card reader, and the best options cost extra. We predict the Studio 14z will be thrown into a lot of bookbags this fall. It has multimedia features that should appeal to students, and it's light enough that it isn't a burden to carry. However, the lack of an optical drive or card reader should give you pause if you're not sure everything you'll need is on the Web. 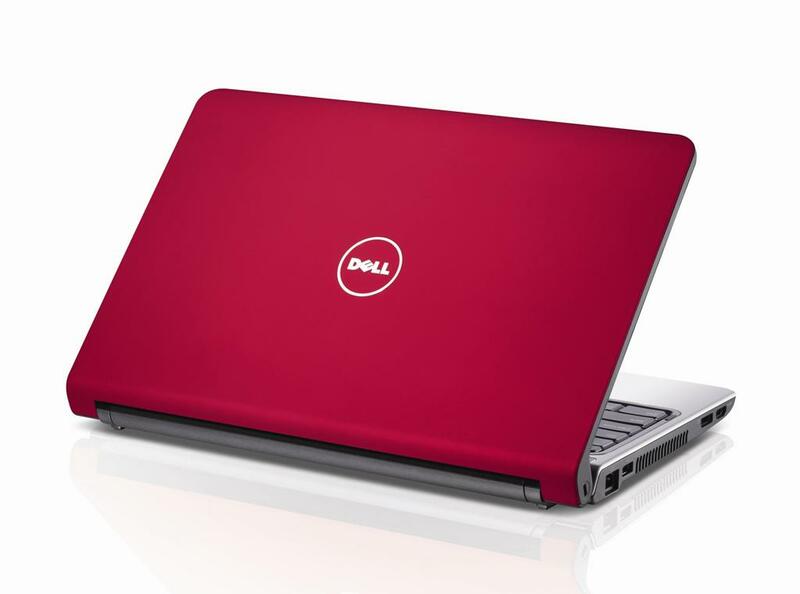 The Dell Studio 14z offers a nice price and a lot of power in a small and sporty looking design. If you’re a media maven it has all of the latest digital out ports for connecting to a monitor, TV or projector. The FireWire and eSata ports ensure that you’ll have fast connectivity to any external storage devices as well. The screen options on the Studio 14z are great and the 900p resolution screen will be a must for those who love high resolution quality screens. With the excellent built-in speakers and nice screen, the Studio 14z will also serve as a great portable entertainment device. Speaking of entertainment, with the Nvidia 9400m graphics you’ll have no problems watching high-definition video without stuttering or frame skips and you can even do some gaming with more recent games. This slim 14-inch notebook offers strong performance and long battery life, but you'll sacrifice an optical drive. If you can live without an optical drive (and we suspect many of you can) and a dedicated memory card reader, the Dell Studio 14z has lots to offer: an attractive design, powerful speakers, good endurance, and strong performance, including Nvidia 9400M graphics. If you do need an optical drive, you might prefer the HP dv4t or the Lenovo IdeaPad Y450, both of which start at $579. Otherwise, the Studio 14z is a unique and compelling notebook. NVIDIA GeForce 9400M GeForceBoost: Combination of dedicated Nvidia GeForce 9300M GS or 9200M GS and a 9100M G chipsetz graphics in SLI (GeForceBoost from Hybrid SLI) mode. Should be a little bit faster than a single 9300M GS. Supports the dynamic switching between integrated and dedicated GPU. Only some 3D games with very low demands are playable with these cards. » Further information can be found in our Comparison of Mobile Graphics Cards and the corresponding Benchmark List.